Rumors had been circulating that Apple’s massive new 23,000 square foot Grand Central Station retail store would be opening in time for the Black Friday sales – the biggest shopping date of the year. According to construction officials the Grand Central store “won’t be opening any time soon”, with a lot of work still underway. In keeping with this, an anonymous source told the New York Post that a Dec 9 opening date is on schedule and a public grand opening will be held around that time. 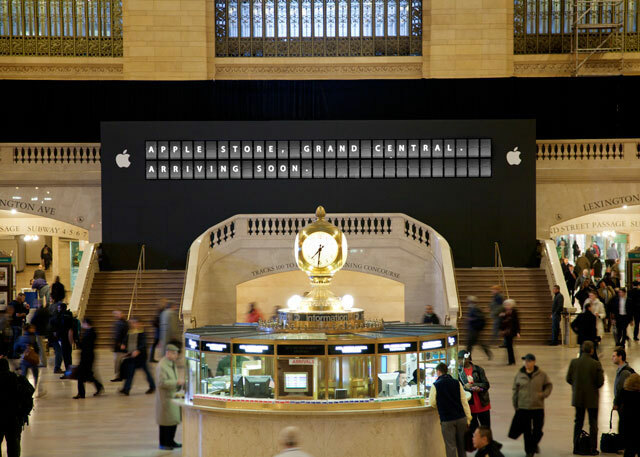 Apple is rumored to be paying in the range of $1 million per year in rent for the prime space in Grand Central, which sees daily rail commuter foot-traffic in excess of 700,000 people.